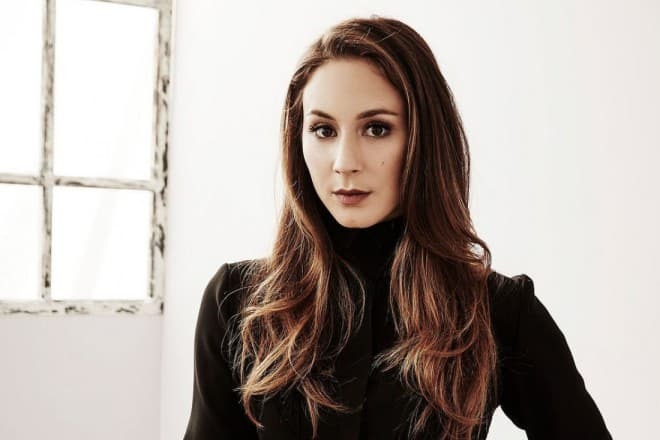 When Troian Bellisario explains her success, she says that she has always been active and has taken an interest in people and their activities. You cannot put the responsibility on somebody's shoulders and hope that everything happens by itself. According to the actress, work generates work. If there is no shooting, you need to write something, think up a role, focus on self-improvement. Troian was born in the family of filmmakers. The girl’s fate was to follow in her parents’ footsteps. Father Donald Paul is a renowned producer of the famous and successful science fiction, war and police TV shows. Mother Deborah is an actress and screenwriter, four-time Emmy Award Nominee. Her step brothers and sisters are actors and producers. So Troian and younger brother Nicholas did not hesitate over a profession. Troian Avery was born on October 28, 1985. It was also the birthday of beautiful Julia Roberts and Matthew Smith, who played the Eleventh Doctor Who, the protagonist of the cult and longest-running sci-fi series. Deborah is Creole, Donald is of Serbian and Italian descent. The daughter inherited a mixture of temperaments. Troian sometimes allows herself to say to the well-known people everything she thinks about them. So Bellisario hates the Kardashian family, who "is seeking to become equal to royal families. The actress has criticized Taylor Swift because "she is full of fake feminism and tears to pieces those who were her friends yesterday." Although Troian has starred in her father's films from the age of three and improved her skills, she received drama education and a Bachelor’s degree from the University of Southern California. Director Elizabeth Allen, screenwriter David Schad Ward and “Detective Magnum” (actor Tom Selleck) studied in this university too. The first movies in Troian’s filmography were the father's action movie Last Rites with Tom Berenger, the series Quantum Leap and Tequila and Bonetti. In an episode of the first film, Donald showed army service with Lee Harvey Oswald. was written by Scott Alexander and Larry Karaszewski wrote the script for the second film. They are the authors of the favorite project American Crime Story, based on real historical events such as the assassination of Gianni Versace or Bill Clinton – Monica Lewinsky scandal. In the family comedy Billboard Dad, Troian found it easy to work with Mary-Kate and Ashley Olsen. As a student, she starred with her stepbrother Sean Murray in the action police procedural television series NCIS and played a sister of a special agent. In 2009, Bellisario was cast for a leading role in the TV series Pretty Little Liars, after which she became famous. The idea of an adaptation of Sara Shepard’s novel belonged to the producer of The Vampire Diaries, Leslie Morgenstein. Viewers liked the film with an exciting plot twist, detective background, and psychologism. However, the plot is pretty trivial, resembles the equally well-known Gossip Girl and Desperate Housewives. Each film tells about the life of community members (schools, groups of girlfriends, cities), when a mysterious person appears who knows all secrets, frustrates the other people and waits for the response. By the end of the seventh season, viewers found out who was the mysterious character A.D. It was the sister of the protagonist, Alex Drake. Her mother sold the girl to the British family to get money and move. Throughout the film, the girl pretends to be Spencer, misleads others, and tries to kill a more successful sister. The actress found out about the authors’ plans in the 5th season but kept the secret. When they occasionally asked her who A.D. was, she laughed and said that it was she. But they did not believe Troian, and when the secret oozed out, some colleagues on the set felt they were deceived and felt hurt by Bellisario. According to Troian, her characters have a similar appearance, but an entirely different inner state. Alex is impudent, self-assured and pulls on other people's heartstrings. But Spencer loves to control the situation and makes a decision, thinking everything over. The actress has a lot in common with Spencer Hastings, her character in Pretty Little Liars. Troian is also a perfectionist, and in her youth, she struggled with anorexia. It took ten years to return to the former life and get rid of the "voice in the head," which said her to limit diet to 300 calories per day. Nowadays the beautiful lady with dark nutbrown curls and speaking brown eyes weighs 50 kg with a height of 170 cm. Troian touched upon the topic of the struggle with this disease in the film Feed, where she played a leading role and was also a writer and producer. Tom Felton played Liv’s twin brother. He is known as Draco Malfoy in the Harry Potter series. Critics have mentioned that the cast was not successful. The communication style of the brother and sister did not resemble the behavior of high school students, and the age gap in the duet of Liv and her boyfriend Julian is very noticeable. 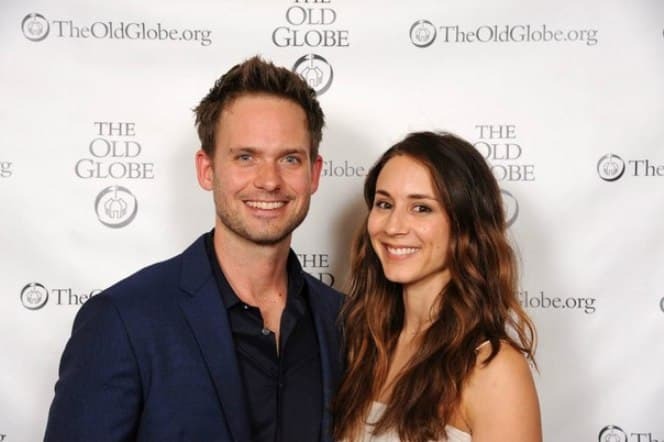 Actor Ben Winchell is nine years younger than Bellisario. 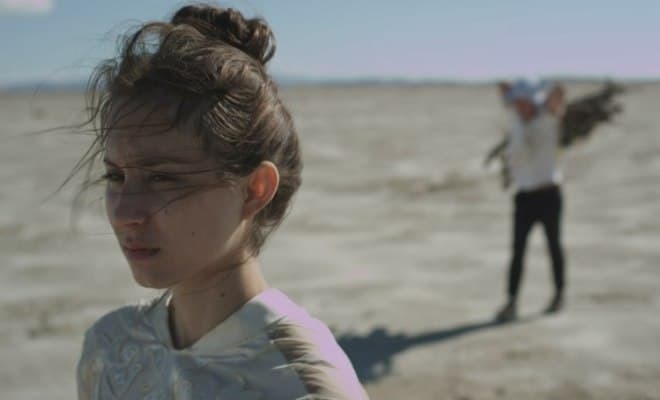 The actress invited Shane Coffey (Holden in Pretty Little Liars) to play in her short film Exiles. Troian was a director, producer, and scriptwriter of the film. Troian found her beloved man in 2011. The actress met the future husband, Patrick J. Adams, the star of the series Suits, two years earlier, at the rehearsals of Bill Cain’s play Equivocation about the 17th Century Gunpowder Plot in England. Adams appeared in an episode of the series Pretty Little Liars. It took time to get a better look at each other. Finally, in 2014, the stage partners announced their engagement. Patrick made her a marriage proposal on Valentine's Day in Paris. It took another two years to prepare for the wedding. Troian and Patrick celebrated the woodland wedding on the beach in Santa Barbara, inviting 200 relatives and close friends. There were Shay Mitchell and Zachary Quinto, Ashley Benson and Chris Pine. Thanks to the omnipresent paparazzi it became known that the actors did not delay parenthood. They took pictures of pregnant Troian on holiday in Greece. So, soon, the stage will give way to personal life. The actress is a fan of the "Godmother of Punk Rock," Patti Smith, and in ordinary life, Troian can go for a walk wearing punk style clothing. She was born under Scorpio sign, that’s why the woman is assertive and has an analytical mind, which is closer to the male thinking. In childhood, Bellisario was surrounded by boys, and she remains a tomboy in her soul, does not like to use make-up and other glamorous things. Her close friend is a man, Keegan Allen, who plays the role of Toby Cavanaugh in Pretty Little Liars. The couple lives in Los Angeles, and, according to their tweets, three large dogs protect the celebrities' home. 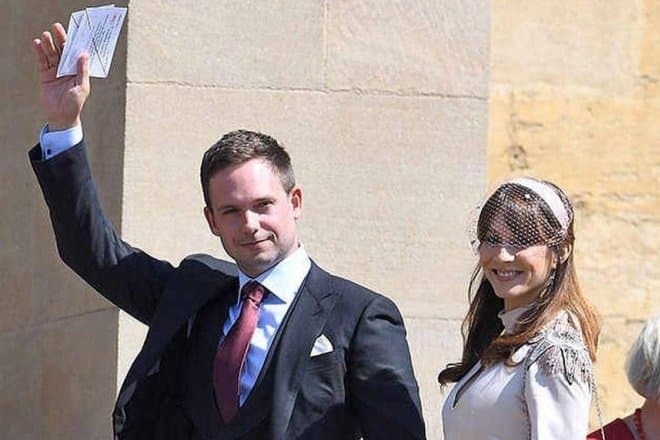 In May 2018, Patrick and Troian were guests at the wedding of one more Suits star Meghan Markle and Prince Harry. Bellisario told the world community about the surprise that the Duchess of Sussex prepared for a private party. It was the slippers. The private party is called so because the guests are requested not to talk about the details. But the actress could not resist the temptation and posted relevant pictures with colleagues Abigail Spencer and Sarah Rafferty to the Instagram stories. Troian is working together with Sasha Pieterse and Janel Parrish on the TV series Famous in Love, but this time Bellisario is a director. The drama Where'd You Go, Bernadette with Cate Blanchett in a leading role is scheduled to premiere in 2019. Her character suffers from mental illness, and she gives up her child and goes to Antarctica to hide from people. Troian will become the first person who will meet the recluse on the ice continent.